California State University Employees Union/SEIU Local 2579 represents approximately 16,000 employees across all 23 California State University campuses. 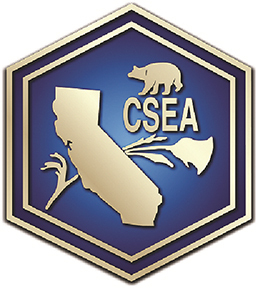 CSUEU’s members are primarily in four different bargaining units and serve as the backbone of the California State University system. This position is a limited term position. The Labor Relations Representative position reports directly to the CSUEU Executive Director. The Labor Relations Representative performs a very wide range of duties including grievance handling from start through arbitration, full evidentiary hearings before the State Personnel Board and the Public Employment Relations Board, organizes employees to take collective direct action, represents employees and the Union in employer-employee relations matters, and trains members employer-employee relations functions. Advising, assisting, training and/or participating in all aspects of the negotiation and grievance processes including, but not limited to, arbitrations and meet and confers. Representing individuals and the Union in different matters, including grievance, discrimination complaints, employee disciplinary hearings, unfair practice charges, and other administrative actions. Organizing the workplace by signing up new members, assisting the workers in coming together for direct action, and informing the workers of the benefits of membership in the Union. Acting as technical advisor and coordinator to various Union bodies, stewards and officials. Providing advice, training, coordination and assistance to workers and job stewards on matters of wages, hours and other terms and conditions of employment. Performing other staff, job steward and member training functions. Ability to independently handle difficult and complex issues in labor relations matters. Ability to exercise skills in interpersonal relationships. Performing other duties as required. Represent members with grievances and other violations of personnel rules, regulations and policies. Represent members with disciplinary appeals before the State Personnel Board. Assist with all aspects of the meet and confer process. Conduct general research and analysis. Engage and organize members and non members on campuses. Provide training and mentoring to member stewards and activists. Education: Either: (1) a certificate of successful completion of the University of California’s Extension Program in Labor-Management Relations; or (2) a four (4) year college degree. Experience: For those individuals not possessing a four year college degree, at least three (3) years of professional experience in employer/employee relations providing representation at a level equivalent to that required of a CSUEU Labor Relations Representative. Clear and concise communication skills. Other: Possession of a valid California driver’s license and automobile. Send your cover letter and résumé to careers@calcsea.org and list the job number in the subject line: CSUEU.2018.12.